Algernon L. Butler, III is a partner in the law firm of Butler & Butler, LLP. Education: Mr. Butler attended the University of North Carolina at Chapel Hill where he earned his undergraduate (A.B. Economics 1990) and his law degrees (Juris Doctor with Honors 1994). While in law school he served on the staff of the North Carolina Law Review. He was admitted to the North Carolina Bar in 1994. He served as a law clerk to Chief United States District Judge Frank W. Bullock, Jr., M.D.N.C., from 1994 to 1995. He served as law clerk to Chief United States Bankruptcy Judge William L. Stocks, M.D.N.C., from 1995 to 1996. Professional Certifications and Associations: Mr. Butler is recognized by the North Carolina State Bar Board of Legal Specialization as a Board Certified Specialist in both Business and Consumer Bankruptcy Law. He is a member of the Bankruptcy Section of the North Carolina Bar Association for which he served as a Director from 2000 to 2003, has served as a member of its Nominating Committee, and is presently the Chairman of its Exemption Revision Committee. He has been appointed to the Local Rules Committee for the United States Bankruptcy Court for the Eastern District of North Carolina. 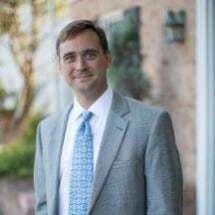 He has served as a member of the Program Planning Committee of the Annual Bankruptcy Institute of the North Carolina Bar Foundation on numerous occasions, and held the position of Program Planner for the 24th Annual Bankruptcy Institute in 2001. He is a member of the American Bankruptcy Institute, the National Association of Consumer Bankruptcy Attorneys, American Bar Association, the North Carolina Bar Association, the New Hanover County Bar Association, and the National Association of Bankruptcy Trustees. Mr. Butler is a frequent lecturer on bankruptcy and insolvency. Community Involvement: Mr. Butler is actively involved in the community in Wilmington, North Carolina. He is a member of the Wilmington Rotary Club and has served on it's Board of Directors. He is a member of St. John's Episcopal Church where he currently serves as a Lay Eucharist Minister and on the Parish Vestry. He is past leader of the Episcopal Young Church people at St. John's, and serves on the Advisory Board of The Salvation Army (For Region). Practice Concentration: Mr. Butler's practice area includes the representation of individuals and businesses with regard to asset protection and pre-bankruptcy planning and strategy, representing consumers in Chapter 7 and 13 cases and farmers in Chapter 12 reorganizations, representing individuals and businesses in Chapter 11 reorganizations, workouts, and dissolutions, and the representation of unsecured creditors' committees in Chapter 11 cases. Mr. Butler is experienced in bankruptcy practice and litigation, and he has represented Chapter 11 debtors in cases involving individuals, retailers, and the hotel, trucking, logging, pharmaceutical, and other industries. He has served as attorney for the Receiver in state court, and attorney for the Chapter 7 Trustees in bankruptcy court for the purpose of prosecuting adversary proceedings and contested matters in numerous cases. He frequently is retained by other attorneys to handle bankruptcy related litigation and to serve as a consultant with regard to bankruptcy and insolvency related issues. Mr. Butler also represents creditors, both secured and unsecured, in all types of cases, and is experienced in the prosecution and defense of Motions for Relief from Stay and for Adequate Protection, Motions to Dismiss or Convert cases, Objections to Exemptions/Discharge/Plan Confirmation, and Preference and Fraudulent Transfer Litigation. Mr. Butler serves on the panel of Chapter 7 Trustee for the United States Bankruptcy Court for the Eastern District of North Carolina, and is licensed to practice before every state and federal court in North Carolina, the United States Court of Appeals for the Fourth Circuit, and the United States Supreme Court.